Chidambaram once again teared into the Centre over its demonetisation drive, citing it was a "colossal mistake," and that corruption thrived despite its implementation. 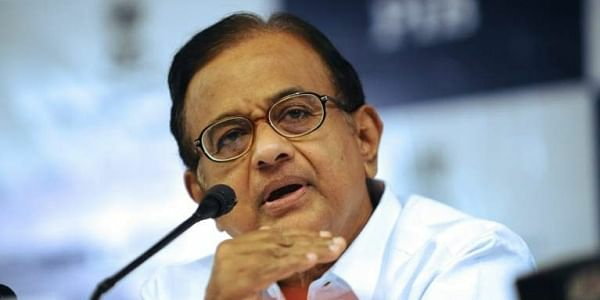 NEW DELHI: Senior Congress leader and former Finance Minister P Chidambaram on Sunday once again teared into the Centre over its demonetisation drive, citing it was a "colossal mistake," and that corruption thrived despite its implementation. The former finance minister took to Twitter and posted a series of tweets that said: “A year after demonetisation, every justification trotted out for that decision has been rebutted and ridiculed. Let me begin with the justification that was disarmingly simple and had gained considerable traction: ending the counterfeiting of currency." 9. No elected government in a democracy has the right to inflict unbearable hardship and misery upon the people. In one of his works, Hippocrates said, “Do no harm”. “Despite demonetisation, corruption thrives. Bribe givers and bribe takers are being caught regularly, often red-handed. As far as black money is concerned, income that is taxable is generated every day, a portion of that income escapes tax and is used for various purposes — such as giving bribes, funding elections, paying capitation fees, betting, hiring casual labour etc," he added. 8. Demonetisation was a thoughtless and rash decision that turned out to be a colossal mistake and imposed a huge cost in terms of denting economic growth and heaping misery on millions of ordinary people. Ever since the inception of the demonetisation drive last year, the BJP and the Congress-led Opposition have been facing off over the viability of the move in the nation. While the Opposition observed 'Black Day' on the one-year anniversary of the move, the BJP celebrated it as 'Anti-Black Money Day'.